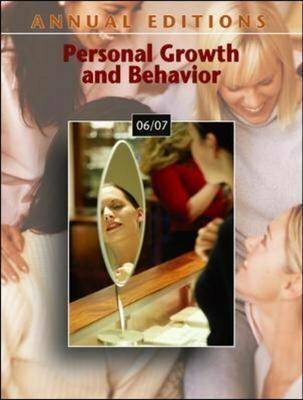 This twenty-fifth edition of ANNUAL EDITIONS: PERSONAL GROWTH AND BEHAVIOR provides convenient, inexpensive access to current articles selected from the best of the public press. Organizational features include: an annotated listing of selected World Wide Web sites; an annotated table of contents; a topic guide; a general introduction; brief overviews for each section; a topical index; and an instructor's resource guide with testing materials. USING ANNUAL EDITIONS IN THE CLASSROOM is offered as a practical guide for instructors. ANNUAL EDITIONS titles are supported by our student website, www.dushkin.com/online.